Jeep's most compact and affordable SUV comes equipped with plenty of ground clearance and an available advanced 4-wheel-drive (4WD) system, providing the Renegade superior performance for any type of weather or terrain. There are four trim levels available, from the 2-wheel-drive (2WD) Sport model through the fully loaded Renegade Trailhawk model with best-in-class off-road ability and a 180-horsepower Tigershark engine. The Jeep Renegade is ready for adventure. It's up for more than just a run to the mall; it wants to get dirty and it doesn't need to stay inside when the weather gets rough. 18.5 cubic feet of storage capacity behind rear seats, expands to over 50 cubic feet with rear seats folded. What types of engines are available for the Jeep Renegade? There are two 4-cylinder engines available to choose from for the Jeep Renegade. 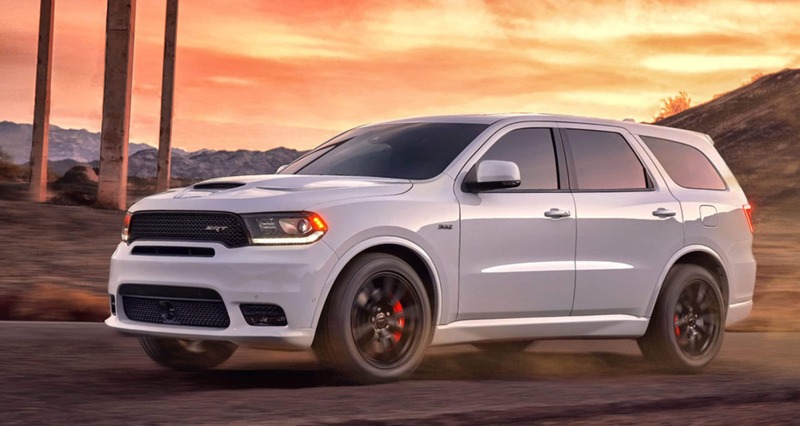 Sport and Latitude models come standard with a turbocharged 1.4-liter engine, while the larger 2.4-liter is optional for those models but standard on Limited and Trailhawk variants. Sport and Latitude models are also available with 4WD instead of the standard 2WD (front-wheel drive). The Jeep Renegade tows up to 2,000 pounds with the 2.4-liter engine and 4WD. Also, Jeep Renegades with 4WD have four driver settings; Auto, Snow, Sand, and Mud. Each mode customizes the SUV's 4WD system to optimize performance for those conditions. The system in the fully equipped Trailhawk trim level also provides Rock mode and Hill Descent Control. What design features are there for the Jeep Renegade? The new Jeep Renegade is comfortable for five with excellent legroom. There's also 18.5 cubic feet of storage capacity behind the rear seats that expands when the rear seats are folded to over 50 cubic feet. Also, in all but the base models, the front-passenger seat folds to accommodate longer items. Other options that vary by trim include leather seats, heated seats and steering wheel, dual-zone climate control navigation, 506-watt Beats audio with nine speakers, rain-sensing wipers, and rear park-assist. The optional My Sky sunroof provides a power vent-and-slide front panel along with two large manually removable panels, which can be conveniently stored inside the vehicle. A newly redesigned center console has increased front-seat storage, and Jeep's Uconnect 4 infotainment system with Apple CarPlay and Android Auto is now standard on Latitude, Limited and Trailhawk models. What are the safety features for the 2018 Jeep Renegade? The Renegade features Blind-Spot Monitoring that alerts the driver when a vehicle is in a blind spot. The ParkSense Rear Park Assist System sounds warning beeps as the vehicle approaches an object behind the car while reversing. Also, LaneSense Lane Departure Warning alerts the driver if the vehicle departs from its lane, and it can also nudge the Renegade back into the lane. The 2018 Jeep Renegade provides both comfort and genuine off-road performance in a single, affordable small SUV package. The Renegade's off-road performance makes it stand out in the popular subcompact SUV class. The Traikhawk's featured all-terrain tires, increased ride height and low-range four-wheel drive make it the top choice of the lineup if you're looking to get a little dirty. Plus, the comfortable front seats with a wide range of adjustments make for a cushioned ride with plenty of room to spare.